Recovery concerns and timing are some of the top reasons people put off a facelift—even when they’re ready for the exciting and dramatic lifestyle change that facial plastic surgery can create. At Smith Cosmetic Surgery, we want to remind men and women who are considering a facelift that when the procedure is performed by a trusted facial plastic surgeon, recovery should not be a deterrent. Advanced mini facelift sculpting tools and recovery methods have now significantly reduced post-operative downtime. How long does facelift recovery take? How will healing time affect my work and family? When will I start to look like the “new” me? What steps should I take to ensure the best results? You may have similar questions, and that’s why we’d like to put your mind at ease and explain what you can expect in terms of the recovery process at our practice. For example, at Smith Cosmetic Surgery our specially trained facial plastic surgeon, highly qualified staff and sophisticated medical center are all available and designed to support patients through every step of a facelift and introduce our valued guests to an entirely new way to heal faster, healthier and happier. In the past, a lengthy period of downtime was expected with any plastic surgery procedure, but today’s modern mini facelift techniques allow for less invasive incisions and subsequently shorter healing time. Additionally, Smith Cosmetic Surgery has created Rapid Recovery, one of the most state-of-the-art, multifaceted recovery methods in the field of facial plastic surgery. At top-caliber facial plastic surgery centers, your care and comfort should be top priority. From years in the business, we know that no one has time for an extensive recovery period, and post-operative downtime shouldn’t prevent anyone from enjoying the benefits of a refreshed, younger-looking appearance. We have jobs, families and plenty of other priorities that just can’t wait while we heal. As you begin to compare mini facelift experiences at various medical facilities and with different doctors around the Denver Metro area, make sure you ask about the planned patient care and recovery process. If there isn’t one besides sending you home on your own, sans ongoing support and resources, look elsewhere. Patients need to know that they will be cared for and listened to not just in the beginning of the facelift process—when the anticipation of a new look is heightened—but also when the procedure is complete. 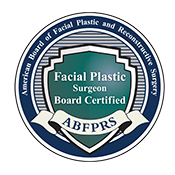 The best facelift doctors specialize in plastic surgery of the facial region only, and have a comprehensive recovery process, customizable for each and every patient. We never sugarcoat the reality of recovering from a facelift. The truth is every patient will experience some form of post-operative discomfort. Of course this varies by patient, depending on factors such as age, skin type and pain tolerance, but for the most part, facelift patients should expect some degree of bruising and/or swelling following a procedure performed on such a delicate part of the body. Our goal at Smith Cosmetic Surgery is never to ignore, minimize or explain away what’s considered normal after even minimally invasive plastic surgery. Rather, to build in these expectations to the conversation we have with each prospective patient by addressing how our caring doctor and staff are more than prepared—and our facility is more than equipped—to make facelift recovery as smooth as possible. 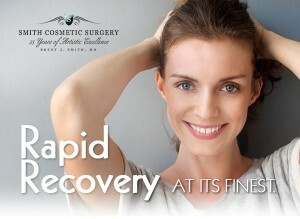 We never “hard sell” our plastic surgery services, only to leave recovery primarily in the hands of the patient. Dr. Brent J. Smith is extensively educated and trained in plastic surgery, which he has exclusively performed on faces for more than 25 years. Dr. Smith’s special focus on this complex area of the body, coupled with our Rapid Recovery process is an important part of every facelift procedure performed at Smith Cosmetic Surgery. In fact, you won’t leave our office until you know the critical first week’s plan for recovery, and we invite you to return each day following your procedure to speed your restoration with dedicated healing treatments designed just for your face. Dr. Smith has been performing facial plastic surgery for more than two decades and has earned international recognition for his fine-tuned techniques. The preciseness with which he creates incisions to enhance—never stretch—the natural contours of the face are well known in Denver and around the country. But while smaller, more accurate incisions during a facelift make for a more beautiful result, they are also designed to facilitate faster healing. How a mini facelift is performed can make a significant difference in recovery time and pace. During each complimentary consultation, Dr. Smith will walk patients through exactly how both facelift surgery and our exclusive Rapid Recovery program work together. 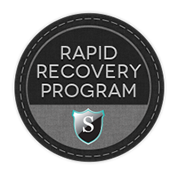 The full Rapid Recovery system includes hyperbaric healing, as well as a routine of precise laser applications at incision sites to reduce redness and decrease inflammation; LED light treatments that help regenerate new skin tissue faster; and a 30-day supply of professional-grade skincare supplements to continue a healing routine at home. Now that you know recovery isn’t a barrier to making one of the most inspiring decisions of your life, what’s stopping you? In fact, there’s no better time than winter, when we’re already indoors, to schedule this confidence-boosting procedure. Need some more inspiration? Explore some of our recent before and after photos at Smith Cosmetic Surgery. What’s Best For You: Surgical or Non-Surgical Procedures?